If you’re considering getting a storage unit to house extraneous belongings or unused items, then you need a plan of action. 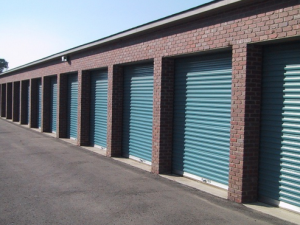 Many people rush into the storage unit game without a solid footing, which often results in misplaced items, disorganization and a poor use of space. The following offers you five great tips to help you maximize your storage unit space. Finding a great storage company can be a headache. With so many options in Albuquerque NM self storage, you might not know where to begin. For starters, you should list out the top-rated companies in your area and narrow down the list based on rates and location. Check with the BBB in your area for ranking information, and read customer reviews online before you commit. Cloth materials should be packed in plastic or non-porous materials so that they don’t get damaged in the move. Precious materials should be wrapped and stored in solid containers. When in doubt, be overly cautious. Whichever materials you choose, opt for uniformity in sizing. You can maximize your space by ensuring that everything stacks well. Misshaped boxes or irregular items will eat up precious space. The best way to make the most of your space is to ensure that you use the right number of boxes. This means stacking your items safely and methodically away into each box and leaving very few empty spaces. The more room a box has, the more likely your items will shift in transition. Affix proper labels to each container so that you know where to find things when you need them. Have an heirloom or antique piece of furniture that defies standard container sizes? If the item can be broken down in any way, then carefully do so and store it in separate pieces. If not, then get creative. Literally think outside the box. You can always stack these items in larger containers if necessary, but think of ways to wrap and store them that still leave you ample storage space. People sometimes forget about their storage units, but in order to make the most of your space, you should inspect it every month or so to determine if it needs any dusting or sweeping. This ensures that you get a clean look at the space itself to see if you can store things more efficiently. Packing your things might seem like a challenge, but the biggest battle in self-storage is efficient use of space. Make a plan, stick to it and get your things organized. As long as you master the art of research and planning, you’ll be able to get the most out of your unit without wasting any time and effort.